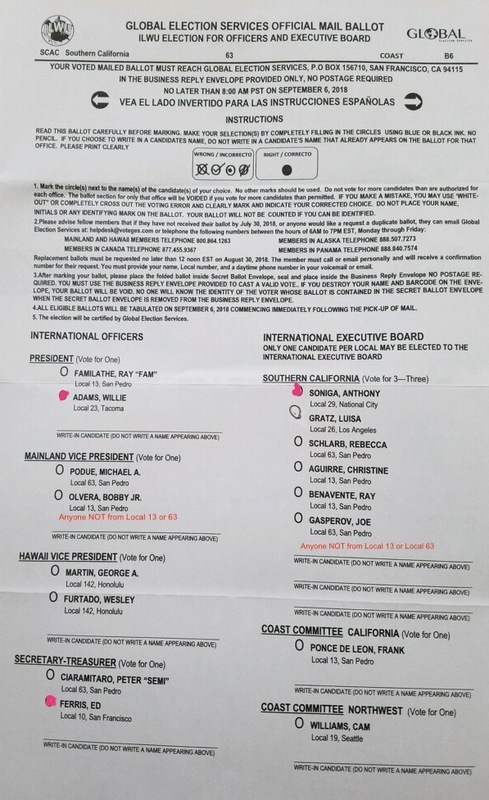 ILWU International Ballot mailed out, and screaming for write-in’s. With the exception of Local 10’s past President, Ed Ferris, every one of the listed candidates voted for the 3-year extension and allowed the Contract to be opened to negotiate a pay increase for the LA/LB steady crane drivers guarantee (stay home) pay. If there ever was a time to do a write-in to show the current leadership that your are not happy about the LA/LB steady men now getting $1,032 per week to stay home for 2 days; now is that time. Current leadership opened the contract to give $20 million to 400 steady crane drivers in LA, and nothing for anyone else. Write in anyone you like, or just don’t vote at all, except for Ed Ferris. Send the corrupt leadership a message. 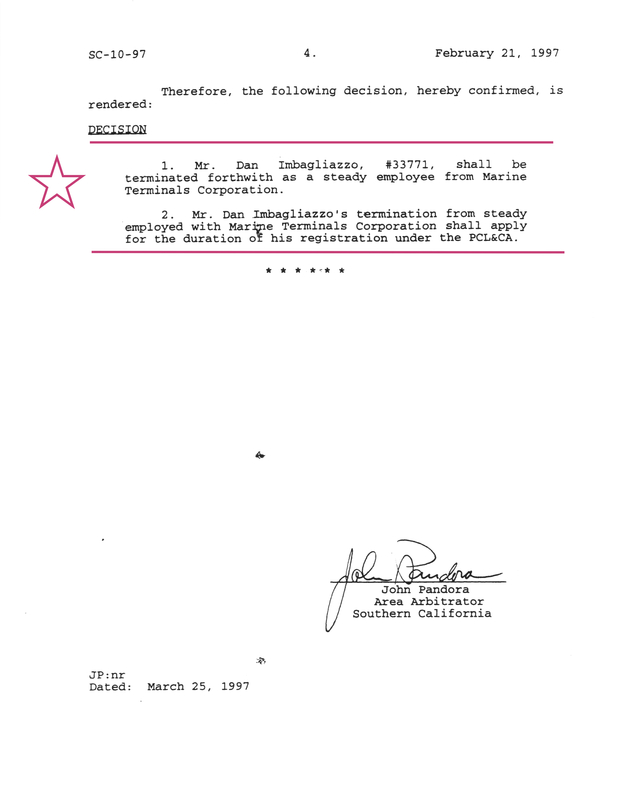 Retiring ILWU President Big Baby McEllrath crammed a poison pill down the throat of every Local, on his way out the door. On July 18, 2018, Big Baby McEllrath, ILWU International President, agreed to open PCLCD negotiations to increase the guarantee paid to LA/LB steady crane operators for the 2 days they stay at home each week. 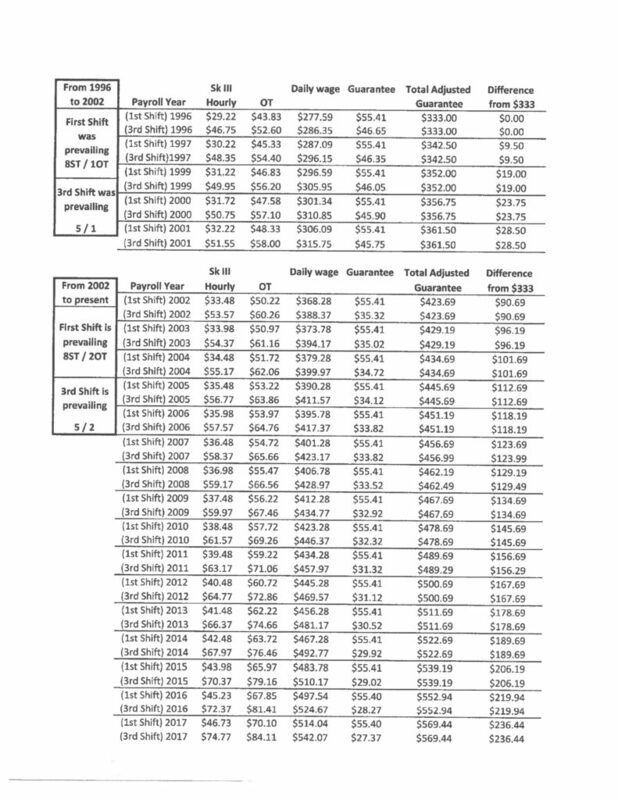 LA/LB steady crane operators get “5 for 7,” which means they work 5 days and get paid for 7. 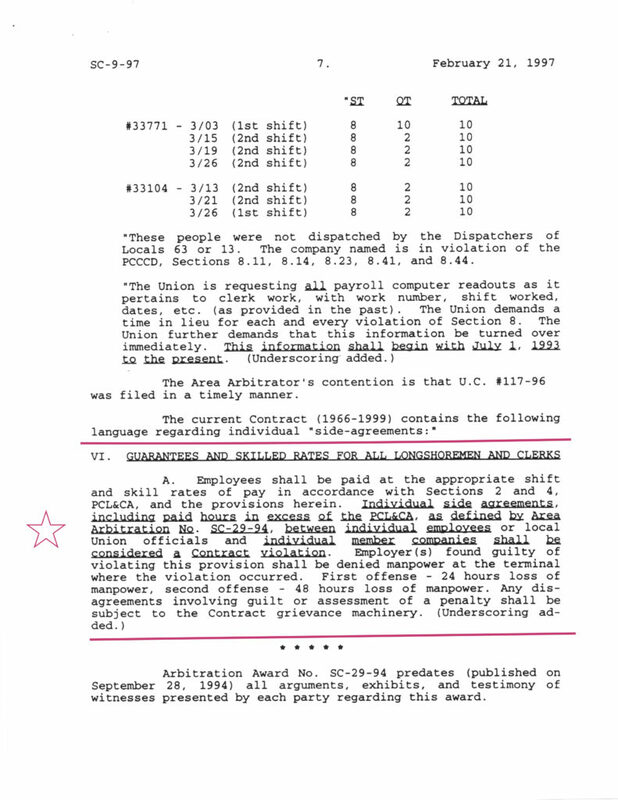 From a Union Complaint filed by Ramon Ponce de Leon on June 11, 2108, to tentative agreement in 5 weeks. 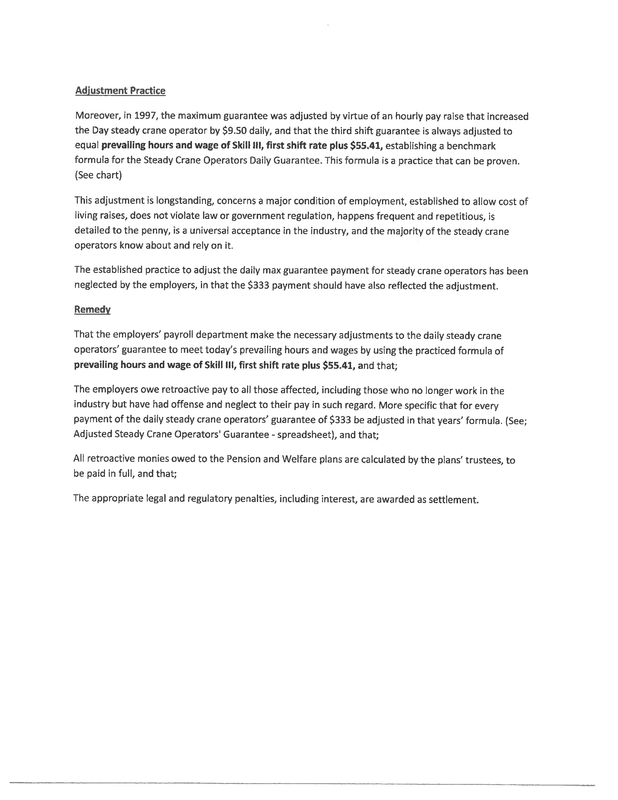 Or for those who prefer PDF, UC0064_RPonceDeLeon. 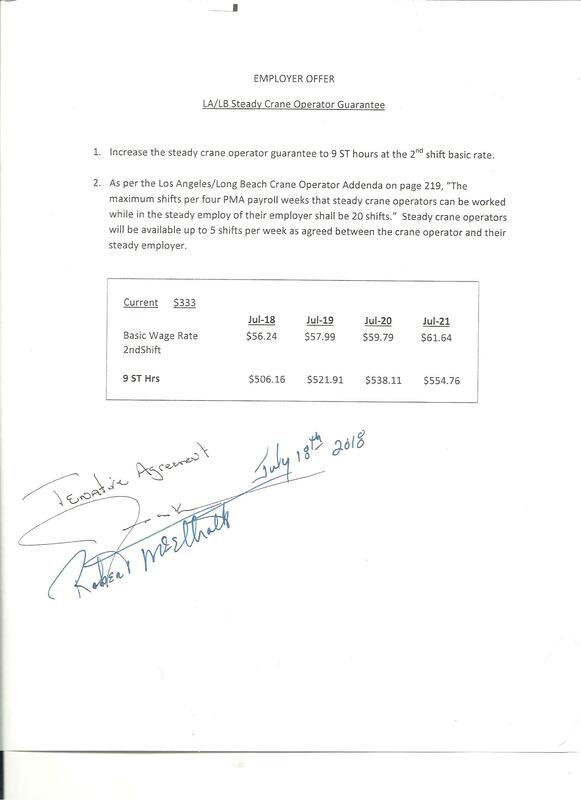 $333 per day, for a guaranteed 2 days per week, to stay home, is not enough for the steady crane operators, and just like the GEICO commercial, they want more. They want more, in the form of second shift pay rates for their first shift guarantee payments, even though that is a direct violation of Pandora’s Arbitration Award SC-9-97. 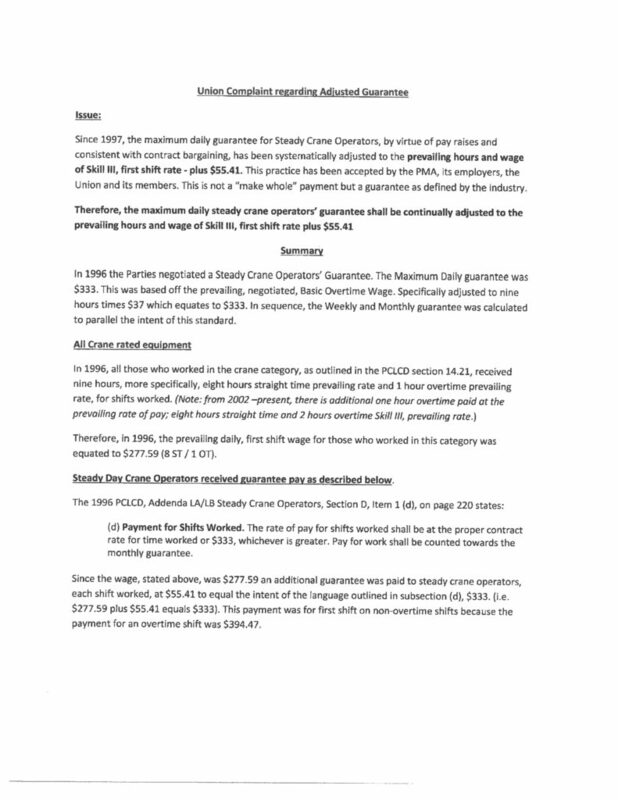 According to SC-10-97, the corrupt influence of Danny Bags resulted in multiple contract violations related to 2nd and 3rd shift rates of pay being paid for 1st shift guarantee payments. The same corrupt Danny Bags, who never complied with the Arbitrator’s decision, has now retired and been hired by Local 13 to do arbitrations and help with grievances like Ramon’s. 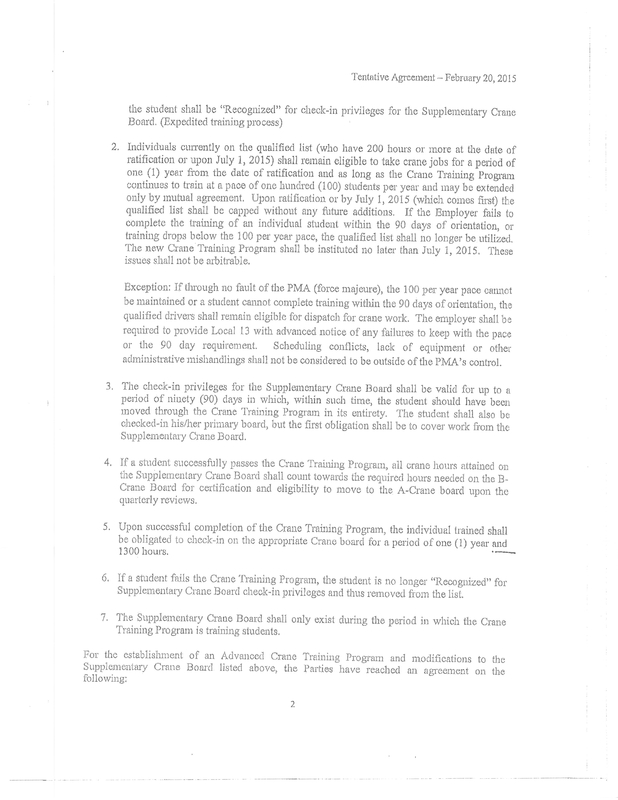 It was Eric Aldape’s equalization grievances that resulted in the 2015 Crane Training:Pay Guarantee Agreement, which guarantees the hall crane drivers crane pay on any job they do, when they can’t get a cane job. Do the signatures look familiar? The LA/LB local agreement regarding crane training and guarantee pay for hall crane drivers was not signed by any of the LA/LB JPLRC members, and was not put into the 2014-2018 PCLCD, even though it was ratified, allegedly. 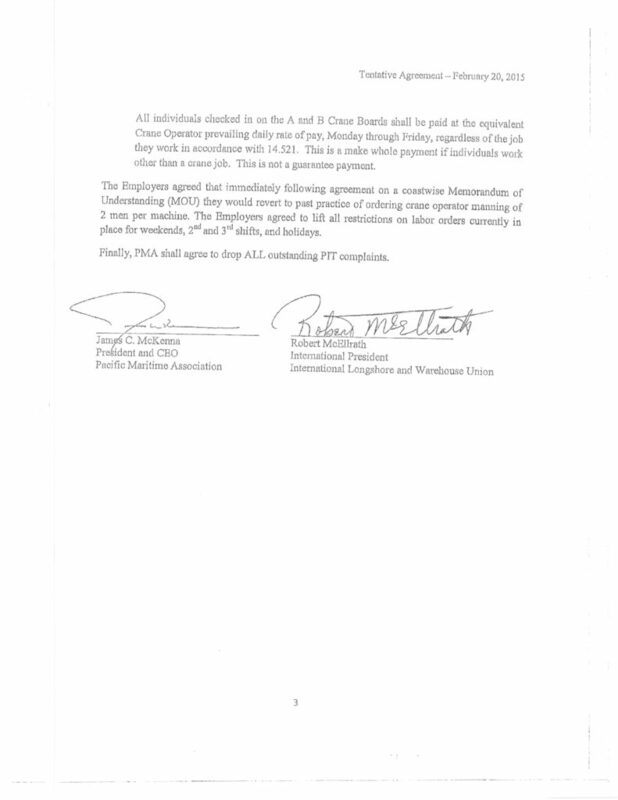 Does that mean that the new agreement regarding guarantee pay for LA/LB steady crane operators, not signed by any of the LA/LB JPLRC members, does not have to be ratified? Eric got de-registered for his stand against corruption, is this really ok with the rest of the ILWU? Harry just flipped in his grave. Great parting gift to the rest of the 13,500 longshore members Big Baby. 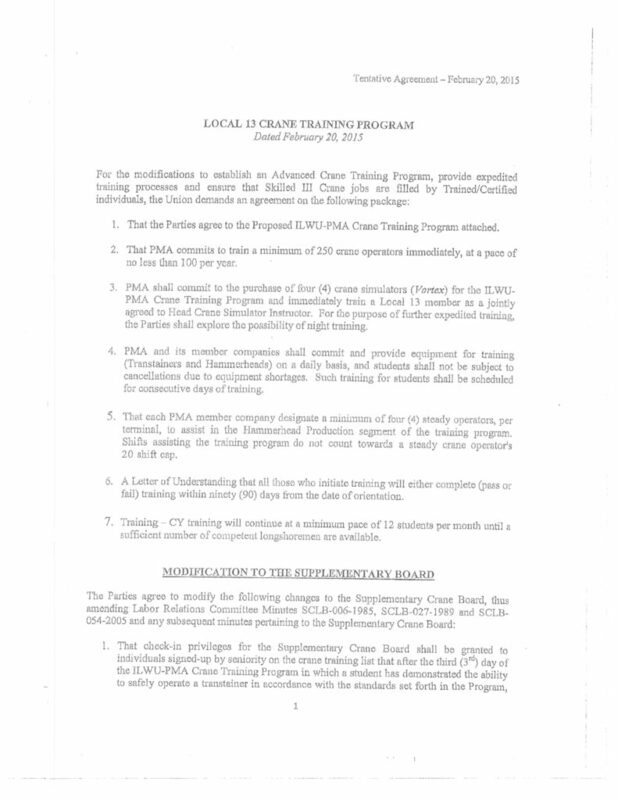 What non-steady longshoreman would vote for any of the LA/LB, Local 13 or Local 63 candidates for International elected officer? The only way to stop this corruption is to elect new International officers, like Local 10’s past President, Ed Ferris. Ponce de Leon sold his forklift company to SSA, now he is selling the dispatch hall out for his steady friends and family. The only way to stop him is to vote the Local 13 and Local 63 bums out. If not, you deserve what you get.